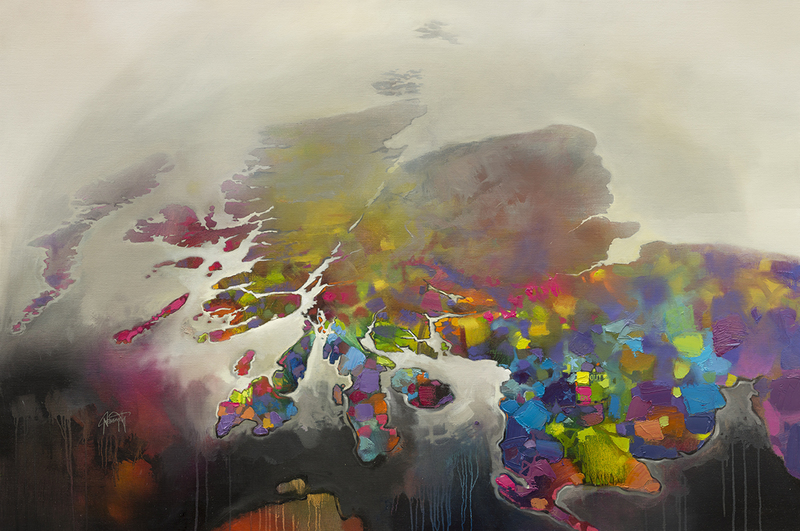 Scott was born in Glasgow in 1978 and attended Duncan of Jordanstone College of Art & Design full time from 1996 – 2000, with the ambition of becoming an artist. He graduated with a BDes (Hons) in Illustration and Printmaking. Since graduating Scott has been a full time artist, working from his studio in Glasgow. 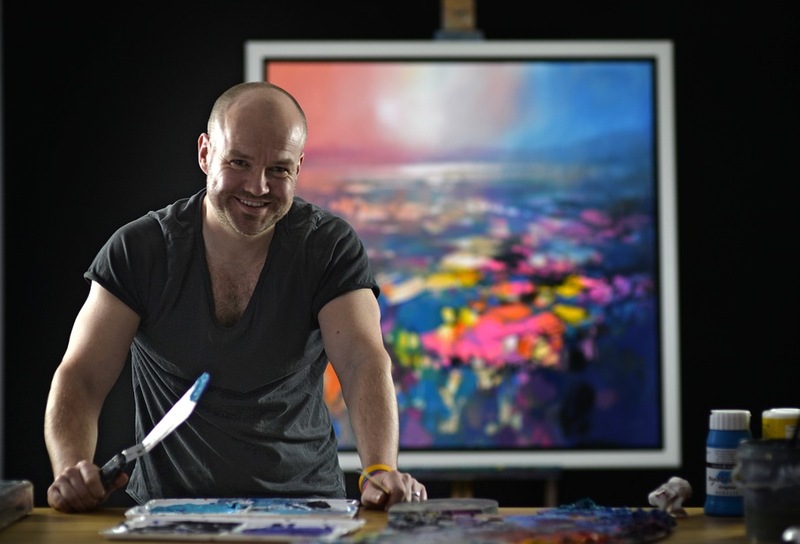 Today, he is an internationally exhibiting artist with a significant online following established via the popularity of his YouTube channel, which now has over 29,000 subscribers and 3.3M views. Print reproductions of Scott’s work are produced in the UK, U.S, Canada and China and sold worldwide. Scott’s approach to painting draws upon a tremendous energy and positivity, which is reflected in the themes of hope and optimism that infuse his work. Read more about the paintings here.